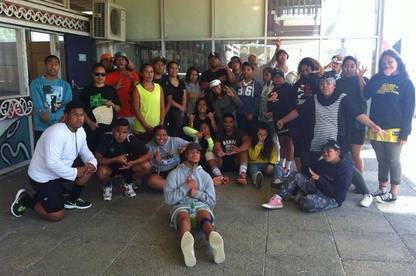 A group of students attending a youth development course in Porirua have a message for door-to-door traders trying to flog overpriced goods: whatever you’re selling, it’s cheaper at the store. The talented students put on a concert this month where they presented a series of skits based on the theme of Consumer’s “Do Not Knock” campaign. The skits featured door-to-door traders selling various household goods and included a salesman promising free gifts if the family signed-up on the spot. The leadership course is run by the Spirit of Rangatahi Charitable Trust.